Below is a list of some of the popular myths being taught today. The myth is first explained in the square followed by a biblical explanation. It’s most likely that you’ve come across most if not all of these myths already. Our hope is that you might be able to see some of them in a different light. Many good scholars have different viewpoints on each of these issues, but hopefully this summary glimpse may be a useful starting point in formulating your own perspective. 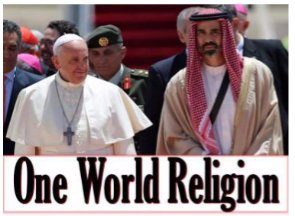 Antichrist will be the head of a false religion that emerges in the end times and becomes a one-world religion. It could be an existing religion but is most likely a mixture of beliefs that brings all religions together under one banner. Revelation 17 speaks of a “great prostitute” (or “great harlot”) that is generally understood as a metaphor for the false religion that will rise up in the end times and dominate the first half of the tribulation period. Many have debated the identity of this religion, with some arguing the Roman Catholic Church, Islam, or another religious movement yet to be determined. Correctly identifying the religious system of Antichrist is of vital importance. In fact, one of the most important questions you can ask, relative to understanding the end times is, “What is the blasphemous and fanatical religion of Antichrist”? (1) their hatred for the Jewish people (2) their desire to annihilate the Jewish people (3) their chosen method of capitol punishment is beheading (4) a hatred for and desire to eliminate Christianity (5) a strong odor of blaspheming God and (6) what religious system today is political and insists their capitol rule from Jerusalem? If you look closely at the nations surrounding Israel you’ll notice they are 100% Islamic countries. Our belief is that Antichrist will rise out of the religion of Islam. In the world today, only Islam matches the patterns in scripture laid down for the religious system of Antichrist’s empire. It is anti-Israel, anti-Christian, anti-Semitic and meets the precise theology for Antichrist described in 1 Jn. 2:22. Islam is Satan’s end-times apocalyptic army that he’ll use in his attempt to destroy Israel and defeat Christ at His Second Coming. There will be no “one-world” religion, but there will be Islam, killing infidels and trying to become the only religion in the world. During the Tribulation, the world will unite together as one under the power and charisma of Antichrist. All other governments will be abolished, dissolved and removed leaving only Antichrist to rule the world. Control of all governments and the global economy will be consolidated into the totalitarian hands of Antichrist. The empire of Antichrist will have a big impact on the world but it will not be made up of every nation on earth. Far from it. The Bible precisely describes the borders of the final empire in Rev. 13:2 as being a Middle Eastern Empire. The final empire will be regional not global. Surprisingly, not even all the nations of the Middle East will be on board with the Caliphate of Antichrist. It will be an exclusive club, hand picked by Satan (Rev. 12:3), comprised of 10 Islamic countries that pull together all their resources to form the Islamic Caliphate. According to Daniel these 10 countries are a “mixture” (Sunni and Shia) and even the 10 have trouble getting along (Dan. 2:41-43). 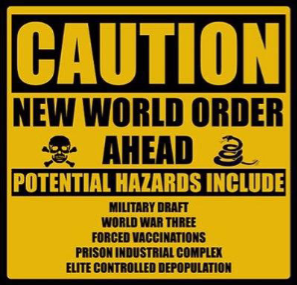 Further evidence of the myth of a one-world government is the outbreak of wars throughout the 7 year Tribulation. How can there be war with only one government? If there is only one government, who are they fighting? If the supposed “one-world” government controls everything and everyone, where do the military’s armies and finances come from for the outbreak of global wars described throughout the Tribulation? “And another, a red horse, went out; and to him who sat on it, it was granted to take peace from the earth, and that men would slay one another; and a great sword was given to him”. This prophecy says that peace will be removed and replaced by war. The chief culprit will be the aggressive Caliphate under the tyrant Antichrist who wages war on Christians, Jews, non-Muslims and infidels. Jesus prophesied that there would be “wars and rumors of wars… and nations will rise against nations” (Mt. 24:6-7). This prophecy would not make sense if all that existed is a “one-world” government. Over and over, what we learn about the Tribulation period is that the nations are in a continual state of war. Daniel’s prophecy also confirms this when speaking about Israel’s great prophecy of “seventy weeks”. He says that throughout the Tribulation period, “wars are decreed unto the end” (Dan. 9:26). Daniel 11:38-39 describes Antichrist as a man of war, busy building his military, financing wars and attacking the strongest of nations on behalf of his false god. Once again, we ask the question… Where do the armies come from that rise up against Antichrist if the world is all under one government? Daniel 11:40-43 gets a bit more specific and provides a running narrative of the wars of Antichrist. He is attacked by Egypt (King of the South) and fights back defeating the southern confederacy of Egypt, Libya and Sudan and brings all 3 under his control. After his victory, he hears about another conflict coming his way. He learns an army is heading his way from the east and north. He apparently receives intelligence reports about a coalition of enemy nations heading into Palestine to attack his empire. This angers the fierce king who charges out to meet them. into one person. Portrayed as possibly Jewish, even Israel will look to him as their messiah. The truth is that none of the above is accurate. Antichrist will only have a regional empire and he will never rule the whole world. Neither is he received as Israel’s Messiah nor is he Jewish. He’s referred to as the Assyrian in Micah 5:5 so we know he is Gentile. Thankfully, God has given us a pattern of what to expect about the reign of Antichrist and the extent of his following. To keep from confusion, God gave us a prototype of Antichrist in scripture. Daniel 8 and 11 discuss the ancient Syrian king Antiochus IV Epiphanes. He is the biblical forerunner of Antichrist. Antiochus was king of Syria that was part of the ancient Grecian, Seleucid Empire. After Alexander the Great’s death, his Empire was divided among his four generals. The prophecy of Daniel closely follows the Seleucid Empire which stretched from India to Turkey. He follows this empire indicating that this is the location of the future empire of Antichrist. In the book of Daniel both Antiochus and Antichrist are described as “little horns”, they both commit the “abomination of desolation”, both commit genocide of the Jewish people and both are Gentile rulers that emerge from the same general area of the Middle East. Scripture gives no indication that the reign of Antichrist ever goes beyond the Middle East. 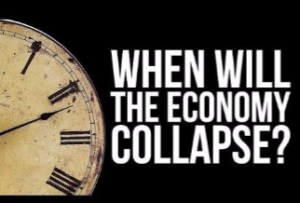 Under Antichrist, the world’s economy will be united into one global system. All financial institutions will be under his control. In order to bring everyone in line, he will impose a mark of loyalty required to buy or sell. The False Prophet who is the coming partner of Antichrist and who enforces Antichrist’s will, orders the above “fatwa” (Islamic edict) to secure absolute loyalty within the Islamic Caliphate. As with most prophecies about the final empire, the economic sanctions in this passage only apply to individuals under the totalitarian control of the Caliphate. The sanctions do not apply to all the other nations of the world who are not part of the Caliphate. Many individuals will be captured and incorporated into the Caliphate as Antichrist expands its empire. The captured will be enslaved involuntarily and forced to comply by wearing the “Mark of the Beast” under the threat of death. On the other hand, as we’ve seen with ISIS, people will be drawn to this new, super Caliphate from around the world to fight in the cause of Allah. It’s important to mention that when Antichrist seizes control of the Caliphate, the combined wealth and assets of the 10 nations will fall under his control. These will be substantial as at least several of the 10 will be oil producing giants like Iran and Iraq. Most Middle East countries have substantial military’s with large arsenals and equipment. Several others like Iran and Pakistan will possess nuclear weapons. Once conquered, Antichrist will take complete control of the land and its valuables and will incorporate the windfall into his war chest. This process will undoubtedly be repeated for 3½ years having a devastating effect on the economies of the Middle East and the world. supercard, bar code, tattoo or universal ID will be used to mark every person on earth. The law in this text resembles an Islamic fatwa (direct order) given by the ruling Imam or Caliph. The Caliphate will be ruled by shariah law under the Caliph. As in past Caliphates and as demonstrated by ISIS, when captured, you must convert to Islam or be starved to death or be killed. Under every former Caliphate since Muhammad, “forced conversion or starvation” tactics have been common practice. Headband identifiers are worn today all across the middle east and north Africa by Islamic Terror organizations to identify their loyalty with their group. The head band and arm band identifiers commonly worn in Islam, seems to be the best explanation for the “mark of the beast.” There is no evidence from this passage for a “super chip” to be implanted into the forehead and right hand of seven billion people. To help understand this prophecy, it helps to remember that a “Beast” in prophecy is symbolic of an empire (Da. 7:4-6). The empire in this case is the 10-King Caliphate ruled over by Antichrist. 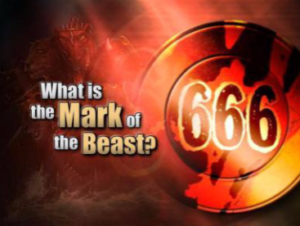 Consequently, the “Mark of the Beast” is simply showing loyalty to the Caliphate. The mark needs to be worn on the forehead or the right hand. Like the gang member colors of the Bloods and Crips, headband identifiers are worn today by over 175 Islamic Terrorist Organizations. When Antichrist is enthroned as Caliph, most of the world’s other Islamic Terror Groups will most likely merge into the Caliphate. Since it’s “the mark of the beast” (“beast” = Empire or Antichrist), it’s limited to the followers of Antichrist, not the whole world. More precisely, the ones marked will only be those under the domain of the Caliphate. Most likely, as preferred by ISIS, “the name of the beast” on the marker refers to Allah. Sadly, headbands are commonplace on young “Palestinian” boys who are often seen wearing Hamas headbands, waving guns and talking on Palestinian TV about wanting to die in Jihad against Israel. people group before Christ returns to rapture the church. 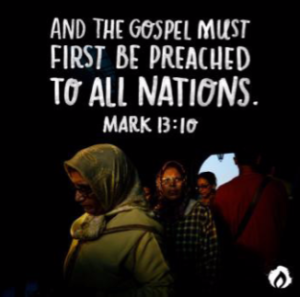 The reason Jesus is waiting so long is to allow the church to finish evangelizing the world. This gospel of the kingdom shall be preached in the whole world as a testimony to all the nations, and then the end will come. Is this why God is waiting so long for Jesus to return? To understand the meaning of the above passage we need to understand the context. Here’s the key… This prophecy appears in Christ’s Olivet Discourse (Mt. 24-25) about the signs relating to His Second Coming, not the Rapture. The signs occur during the 7-year Tribulation so Israel (not the church) will have a precise timeline of when Messiah would return and establish His Kingdom. What the verse is saying is that during the 7 year Tribulation, God is going to pull out the stops and make sure the world hear’s the good news before the Second Coming of Jesus. This verse is not applicable to the church in the church age. However, this does not mean the church doesn’t have the responsibility to preach the gospel to everyone today. Before His ascension, Christ commissioned the church to take the gospel around the world (Mt. 28:19-20). What Jesus is prophesying is this… whether the church reaches the world or not, He will make sure the job gets done during the 7-year Tribulation period before He returns. The book of Revelation tells us how God will accomplish this task. Our gracious Lord will use every means possible to reach every person during the final 7 years: 2 Witnesses, 144,000 Jewish evangelists, supernatural signs and wonders and even angels (Rev. 14:6-7). 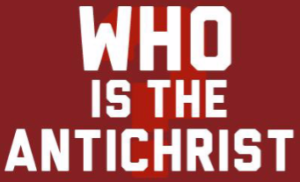 One of the most popular topics among Christians is the Antichrist. The most common belief, over the last century is that Antichrist will come out of Europe and most likely from a revived Roman Empire. However, scripture indicates that Antichrist will come from the Middle East, not Europe. Scripture is also clear that the blasphemous religion of Antichrist will come out of Mecca not the Vatican. The myth of Antichrist rising from Europe is still popular and has been the standard teaching for most of the last century. The controversy centers on two issues: (1) The translation and interpretation of Rev. 17:9; (2) Assigning the wrong identification to Daniel’s 4th kingdom. Those who believe in a European paradigm say the 4th kingdom points to the Roman empire. The problem with this view is that the Roman empire simply does not meet the qualifications described in Daniel pertaining to the 4th empire. Those who see end time events centered in the Middle East believe the 4th kingdom portrays the Islamic Empire. 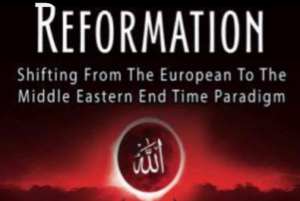 Instead of a Revived Roman Empire giving rise to a European Antichrist, prophecy indicates that much of Europe will fall to the beast of Islam – Rev. 17:9-11. In the study of Bible prophecy, it’s always best to keep your eyes on Israel. Israel is the epicenter and the Middle Eastern Islamic nations are Israel’s enemies. This is the center of the prophetic word if you want to follow important end time events. Antichrist will rise from the 10-king Caliphate that emerges in the Middle East. The False Prophet that enforces shariah law rises from the Middle East. The 2-Witnesses minister in Israel. The 144,000, the Battle of Armageddon and most end-times prophecies are about Israel and the Middle East Caliphate – Not America – Not Europe – Not Russia – Not China!